We have been providing the translation services to the clients in almost all international and local languages for last many years. 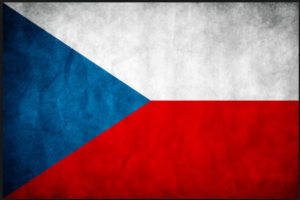 We offer the Czech translation services to our clients like document translation including police verification or police character certificate, educational certificates and the software translation. Translation.pk is the translation agency, which is located in Islamabad and it provides the translation services in Czech language meeting necessary requirements of concerned embassies. The clients can contact with us with confidence for the Czech translation of their legal, medical, technical, financial, educational and other localization. We have expert and experienced translators of Czech language and they are proficient in their translation work and their expertise has made us leading Czech translation service provider. To avoid repeated translation of your documents from other agencies and heavy expenses being incurred on the documents translation, you can contact with us as we deal in the Czech translation to the contentment of the clients. Do not get translated your documents in Czech language from other agencies, which is waste of your time and money as we have enough experience and expertise to deal in Czech translation. We will provide Czech translation services at the customized rates and up to the satisfaction of our respected clients.